Rugs can be beautiful additions to your home and can easily become the centerpiece of any room. However, they are very good at picking up stains and dirt from just about anything. From food stains to dander and dirt from your trusty animal companions, rugs are one of those items that should be cleaned several times per year. Luckily, St. Croix Cleaners is partnered with the right team to help clean your rugs. We are firm believers in high quality cleaning and exceptional customer service, and these values carry over to the rug cleaning services we are teamed up with. 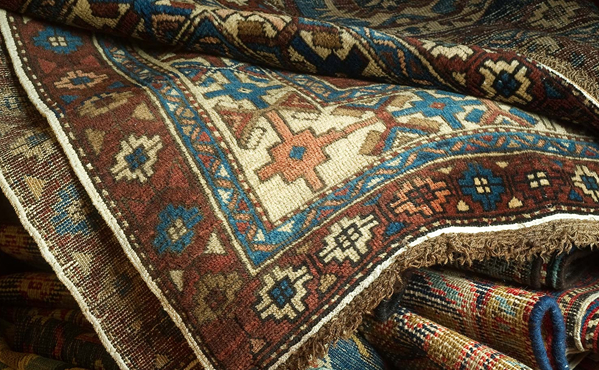 You can be confident in trusting your most precious rugs to the Twin Cities’ BEST rug cleaning service. We clean all types and sizes of rugs including Oriental rugs, Persian rugs, fur rugs, rubber-backed and hand-sewn or woven rugs. Rugs tend to be quite large and can be quite difficult to maneuver from place to place. To make your rug cleaning experience easier, we offer a convenient pick-up and delivery service. This allows you to focus your energy on other things instead of worrying about the time consuming and manual job of transporting a rug. Leave that to us! You can trust that your rug is being cared for by certified rug cleaning professionals with expert-level knowledge regarding all different types of rugs and textiles. Our experienced team understands that every rug is unique, and needs to be treated and cleaned as such. They are passionate and excited about cleaning and preserving your rugs! Please fill out our contact form or give us a call to schedule a pickup. Pick up and delivery charge may apply. My dog loves to bring mud in the house and shake off on our new rug. I brought it to St Croix Cleaners and they were able to get ALL of the dog stains out. It looked brand new. I thought my newer rug was ruined when I spilled spaghetti sauce all over it at a dinner party. It came back looking amazing! I’m a happy customer. Every few months I have St Croix Cleaners clean my favorite rug. They do a wonderful job and it always looks fresh.